Hardware samplers have become increasingly popular with the rise of EDM and electronic music in general. They can be great additions to your stage or studio setup. And, the demos make them look so easy and fun to use. Why wouldn’t you want one? Wouldn’t you love to make your own beats in a matter of minutes or even seconds? Well, there certainly isn’t a shortage of options to choose from, and that doesn’t make it any easier to choose. The right fit depends on what features you’re looking for in a sampler and what you’re planning to spend. 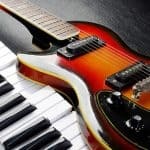 In this guide, I’m going to highlight several sampler pads that are great for beginners and even live performance. What Should I Look For In A Hardware Sampler Pad? Do I Need A Sampler? Shouldn’t I Just Invest In A Good Computer & DAW? Looking for a sampler that’s easy to use and fun to play with? Then you’ll love the Groove Box. 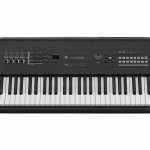 This is a standalone digital instrument that comes with a four-part sampler, two six-note polyphonic synths and a versatile and deep sequencer. The two digital synth engines make this unit particularly inspiring and fun. 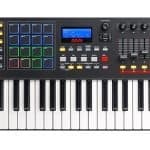 Its sequencer is also better than just about anything in the price range. The synth allows for six-voice polyphony. The four-part drum machine stores up to 64 drums, samples and one-shots. You can combine up to 128 steps of synth and drum patterns. You can also save up to 34 session with eight patterns per track. 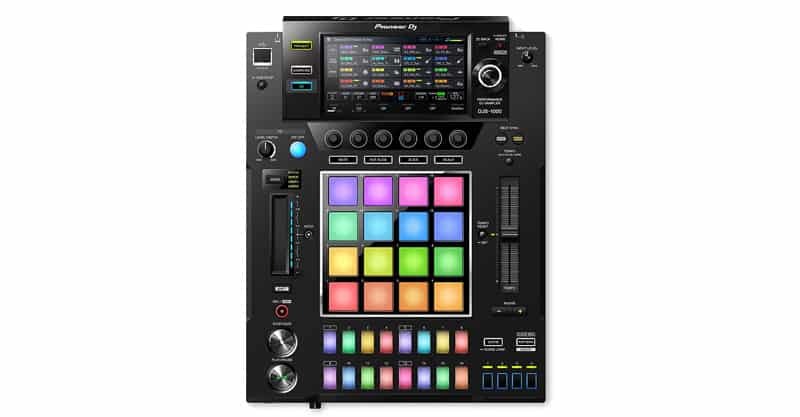 It comes with a 4×8 grid of RGB velocity-sensitive pads, 28 RGB backlit function buttons, eight continuous macro encoder knobs as well as dedicated filter and volume pots. You get access to regular software updates. The battery-powered unit comes with a built-in speaker, 1/4-inch outputs, MIDI I/O and USB. 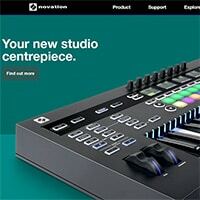 So, if you’re looking for a sampler that’s fun, versatile and easy to use, the Novation is worth a look. 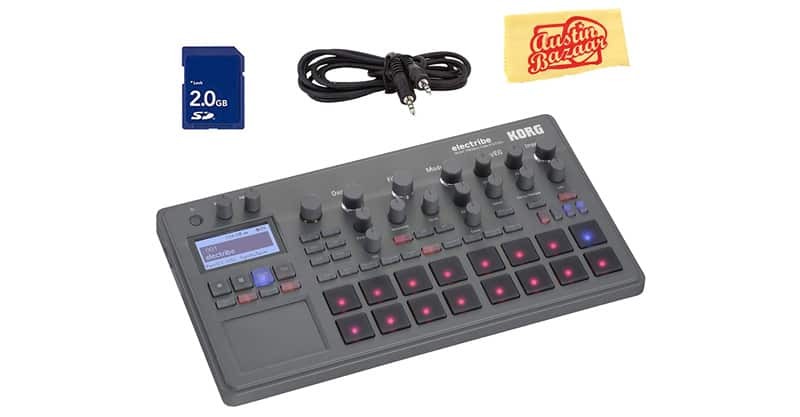 The Korg Electribe is perfect for you if you’d like to import or record your own audio to build tracks with. And, it’s easy to use besides. It’s also a great choice for live performance as it can help you streamline your setup. If you use Ableton Live, you’ll also be happy to know the Electribe can export to WAV and Ableton project files. It has 16 sample channels. It comes with a 64-step sequencer and parameter automation. It holds up to 499 samples/270 seconds. It has two outputs, one input and a headphone out. It also has MIDI in, out and thru as well as USB. It has one track effect slot and one master effect slot. It has a maximum polyphony of 24 voices. Though considerably different from the Novation, there’s no arguing with the Korg if it suits your needs. It’s worth a look. For those who don’t mind spending a little more, the Roland SPD-SX has a well-designed and easy to use interface. It comes with tons of quality built-in effects and plenty of sounds. This is a great unit for the stage or the studio, so if you need a unit that’s going to play well no matter where you bring it, this is a good choice. It has three simultaneous multi-FX, 16 preprogrammed drum kits and 20 polyphony voices. The SPD-SX has 20 sample channels, but no sequencer. It comes with nine performance pads for triggering. It can store up to 4GB of data. It has plenty of ins and outs with four outputs, two in, a head phone out, four trigger ins, and two foot pedal ins. It also has MIDI in and out and USB for audio, MIDI and storage. It has two kit effects slots and one master effect slot as well as EQ. Whether you’re a producer or drummer, you’re sure to enjoy the Roland. A little more than just a sampler, the DJS-1000 is essentially a DJ mixer. That should explain its price point, which is on the high side. 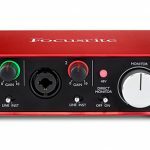 But it’s still a great choice for the novice DJ or producer, because while it might look a tad intimidating, it’s got an intuitive and fluid workflow. This unit is a lot of fun and its interface makes it easy to access all its key features. Plus, it’s great for live performance. USB drive input for sample storage and importing. Two ins, four outs, headphone out, MIDI in and out, USB and LAN Pro DJ Link. Master performance effects and one effect slot per track. The one downside of this unit is that it doesn’t allow for as much sound-shaping compared to samplers that are in the same price range. But the Pioneer DJ sampler is cool for what it is, nevertheless. 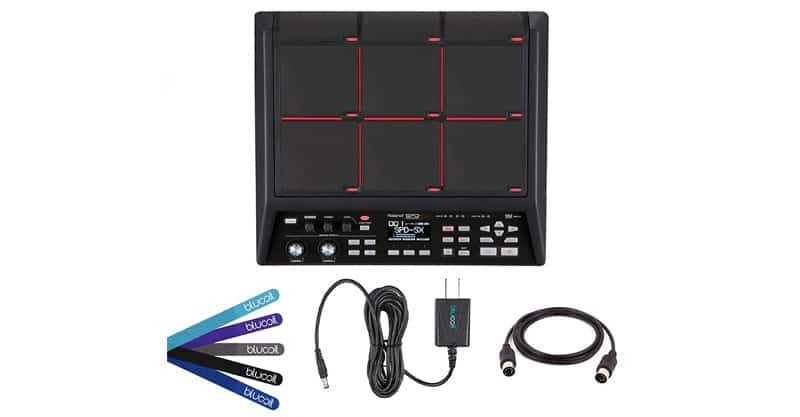 As the name suggests, the MPC Live is great for live performance. Admittedly, however, it may not be the best choice for beginners and that’s because of its subpar workflow. This doesn’t mean it’s bad, but it’s certainly not as intuitive as it could be. 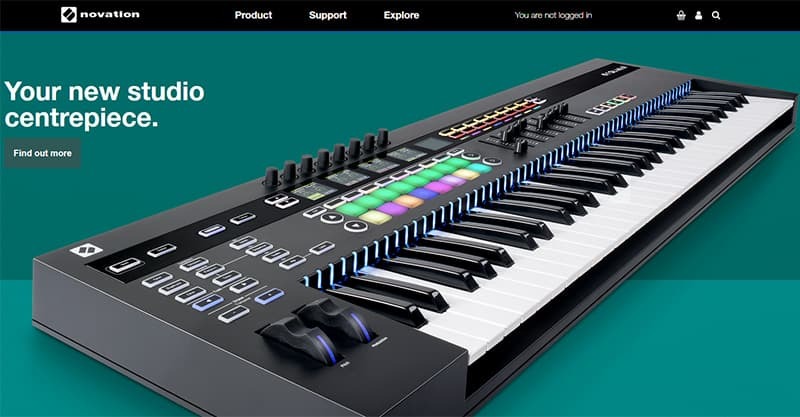 On the upside, it comes with built-in memory, processing, rechargeable battery, a level of sequencing, sampling and recording that nearly matches most DAW software, and great editing capabilities too. 128 track limit or eight audio tracks in standalone mode. DAW-style audio and MIDI sequencing. 16GB of storage and expandable SATA drive. Two MIDI ins and outs and USB. Naturally, you get more when you’re willing to pay more. 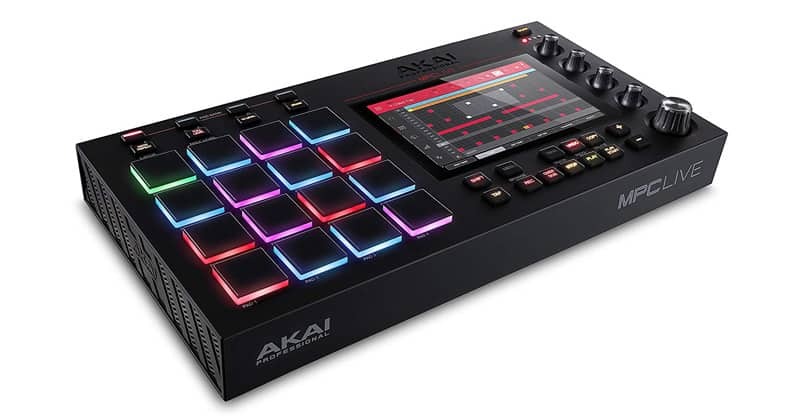 But I think intermediate to advanced users would appreciate the AKAI Professional more than beginners. 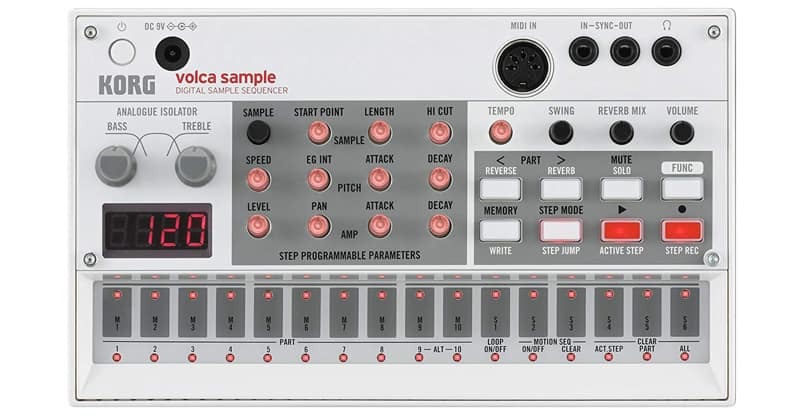 For those who are on a tighter budget, the Volca Sample is sure to be a solid choice. And, I’m not just saying that because it’s affordable. This is a surprisingly good sampler all things considered. This 10-part sample sequencer has got a fun, old school vibe that classic gear heads might enjoy. And, overall, it’s quite flexible, intuitive and fun to work with. It has 10 sample channels with a maximum polyphony of eight voices. 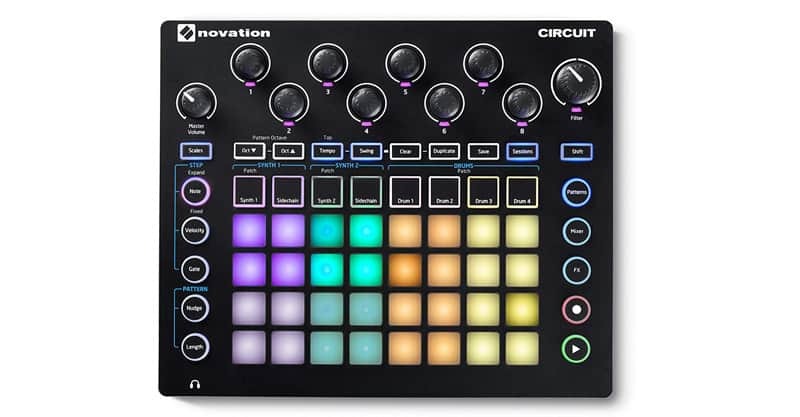 It comes with a 16-step sequencer and parameter automation. It features 4MB of memory at a maximum of 65 seconds. It comes with a headphone out, pulse sync in/out and a MIDI in. In terms of effects, it has a master reverb and isolator EQ. There are a couple of downsides to the Volca Sample. One, it doesn’t have built-in sampling capabilities. You will need to load your own. Two, it doesn’t integrate with DAWs very well. If you don’t mind that, then you might consider picking up the Korg. Unlike other types of studio gear, I find samplers to be a little different across the board. So, what’s right for you is going to depend on several factors. For a beginner, I think ease of use is kind of a big deal. If the unit takes a lot of time and effort to learn, set up and use, you’re going to be discouraged trying to figure out its controls and features, as well as getting it do what you want it to do. Most beginners just want to plug in and go. They want to be able to start making beats immediately, regardless of how good those beats sound. Fortunately, the samplers mentioned on this list all tend to be beginner-friendly and a lot of fun to play with. This goes hand in hand with ease of use, but again I would consider it a particularly important factor for beginners. You also need to personalize this a bit. So, what’s intuitive and easy to use for someone else may not be the same for you. You should spend some time looking for the best fit. Generally, fewer knobs, sliders, buttons, switches and pads make a sampler easier to use. And, if everything is clearly marked, that’s also a plus. Workflow is another major sticking point with live performance, since you may need to make quick adjustments on the fly. So, don’t forget about the interface when shopping for the right sampler. As you can probably gather, if you’re willing to pay more, you get more, whether it’s just ins and outs or more polyphony voices. Do you need built-in synths? What about effects? Are you planning to store a lot of data? How many sample channels do you need? These are the types of questions you need to be asking yourself, and unfortunately, I can’t answer them for you. Ultimately, only you know what you need. If you’re new to samplers, then starting simply is a smart decision. If you have a bit of experience, then you may want to spend more time thinking about what you want and then decide which unit to buy. Hardware samplers aren’t the cheapest pieces of gear on the market. Sure, you can spend a little and still get a lot, but inevitably you’re going to end up sacrificing some functionality. Budget is still an important consideration, though, because it can help you narrow down your options. You probably don’t need an expensive sampler if you’re just planning to play around with it at home. On the other hand, if you’re thinking about performing or even using it in the studio, it might be worth putting a little more money into it. It’s no secret that software has come a long way. And, it wasn’t all that long ago that the latest software just about made sampler hardware obsolete. So, if you want to invest in a good computer and DAW instead of a sampler, you could certainly do that. But there’s a reason why samplers have grown in popularity again. For one, you can use them without a computer. That’s a major plus when you think about all the experimentation you could do without even having to ensure you’ve got a studio-ready computer (by the way, this used to be a much bigger challenge because if you so much as installed the latest OS update, there was a chance your software and hardware wouldn’t work with your computer anymore). And, that means hardware samplers are also portable. You can bring them wherever you go, whether that’s to your favorite venue, at home, or in the studio. I would also argue that hardware is just better for live situations. A lot of things can go wrong with the computer (have you ever had your computer freeze on you or crash out of nowhere?). All your controls are also in front of you, so you’ll probably have a quicker and better workflow too. Some say the audio quality is also better with a hardware sampler. I imagine your mileage there is going to vary depending on what computer you’re using, mind you. If you aren’t planning on performing and just want to make beats at home, perhaps a software sampler is more than enough. But, as I already said, there’s a reason many are now turning to hardware samplers. I also think you’re going to have a lot more fun with hardware samplers, especially if you find one that suits your approach. Sampler pads can be a lot of fun to play with, and they should be. If the workflow slows you down or doesn’t allow you to accomplish what you’re trying to do, it can be frustrating. That’s why it’s always best to try out a few sampler pads before deciding which one to buy. If you can, try renting a few at your local instrument store to get a sense of what works for you. Aside from that, don’t forget to have fun making your own beats!